Have had two recent transactions with Cable Chick and two or three before that. Cable Chick is undoubtedly an extremely efficient and customer focused company and I have nothing but praise for your excellent service - keep up the good work. Everything I have purchased has been delivered promptly, of high quality and has always performed as expected. I will be contacting you again soon. 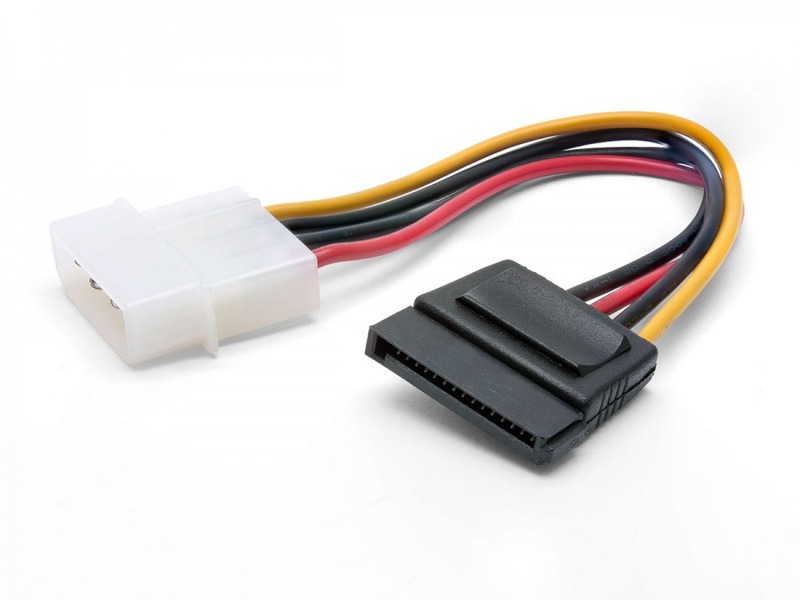 Internal Molex Power to Serial ATA Power Cable (SATA 2 / SATA 3 Compatible) + FREE SHIPPING! PCs: Nothing if not adaptable. Now it won't matter what's inside your computer case; you'll be able to add in a Serial ATA (SATA) hard disk or optical drive without replacing your power supply. With technology trending towards SATA these days, it's becoming harder to stay off the band wagon when expanding your data storage. But I'm here to help wean you onto SATA with a clever little Internal Molex Power to Serial ATA Power Cable. If you've run out of SATA power on your PSU and only have Molex left, or even if you don't have any SATA and need at least one for you new drive, then this converter is like a sign from the heavens. It simply plugs into any existing free Molex socket and gives you a Serial ATA power plug! Built to my high standards and backed by my 5 Year Exclusive Warranty; you can afford to adapt to the age of SATA. Note: Your motherboard will also require a free SATA port for data transmissions. I was very happy with my order, and have already recommended your website to several of my friends. Thank you for the follow up.